Set on an eight acre plaza in the previous location of the World Trade Towers. 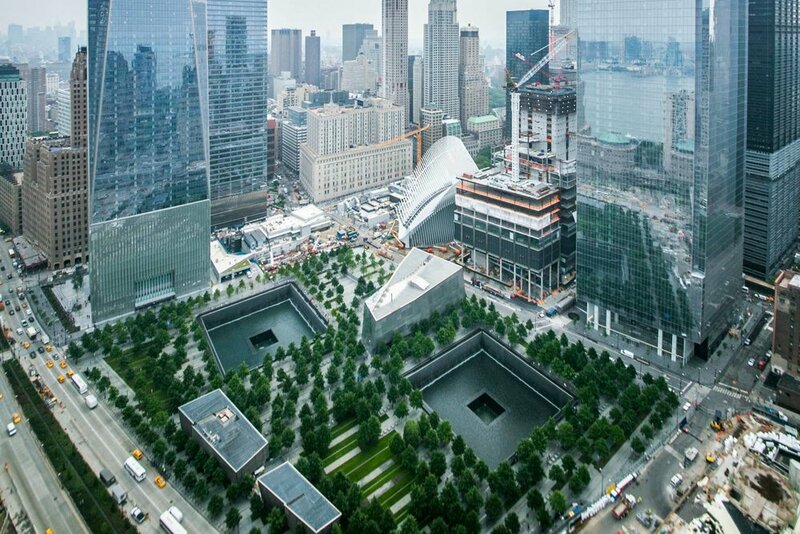 In the center of Memorial Plaza there are two reflecting pools that are recessed thirty feet into ground, lined with waterfalls and 400 swamp white oak trees. Development will accommodate two separate towers. 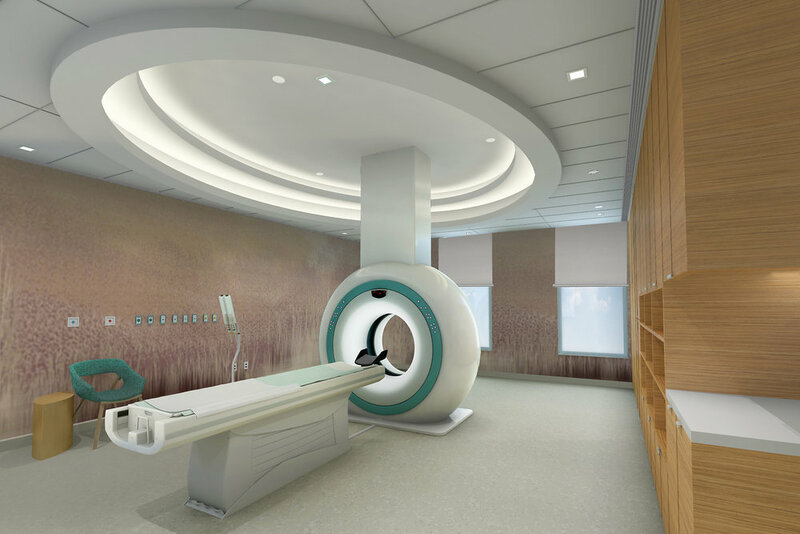 An East River-facing tower will house a 730,000 sf, 23 floor outpatient treatment center for MSKCC. 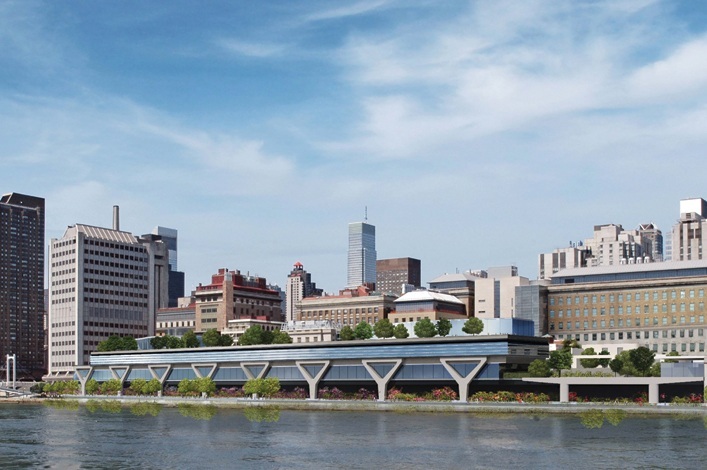 Another 400,000 SF tower will house CUNY- Hunter College school of nursing and physical therapy. Includes a 20,500 sf health & wellness center, 5,000 sf interactive conference center, rehabilitation of the seawall and upgrades to the public East River Esplanade. 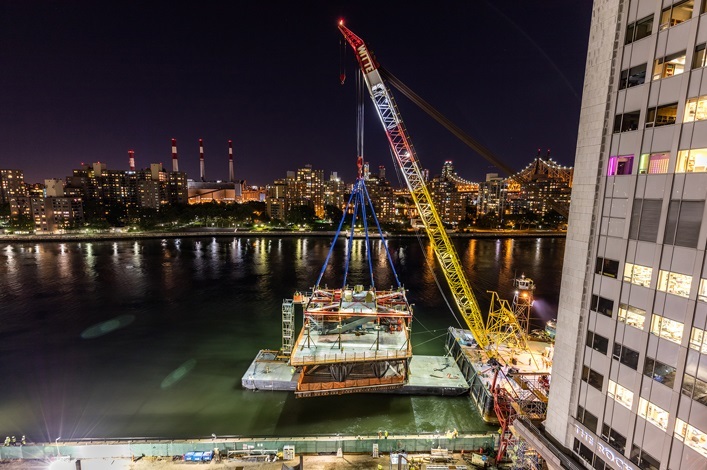 Each module is being shipped to site and installed over the FDR using a barge crane.